The news broke earlier about Marvel and Hulu’s awesome new partnership, announcing new shows based on Howard the Duck, MODOK, Hit-Monkey, and more. While fans are happy that new shows are being made and using obscure characters to boot but the fact that geek king Kevin Smith is involved in Howard the Duck has a lot of viewers hyped up. It seems like Smith himself is really pleased with the development, as the Clerks director went out of his way to thank Marvel for working on the newly-announced animated series. David Willis, who many fans know from Aqua Teen Hunger Force, is also producing the show so that should mean some quality adult-oriented entertainment. Howard was already made canon in the MCU thanks to a post-credit sequence in Guardians of the Galaxy. It will be interesting to see how this show handles Howard post-Guardians, though it’s not like those two movies used the character in any meaningful way. Howard will also be in a team-up show called The Offenders, which is a crossover with all of the Hulu-announced Marvel animated characters. 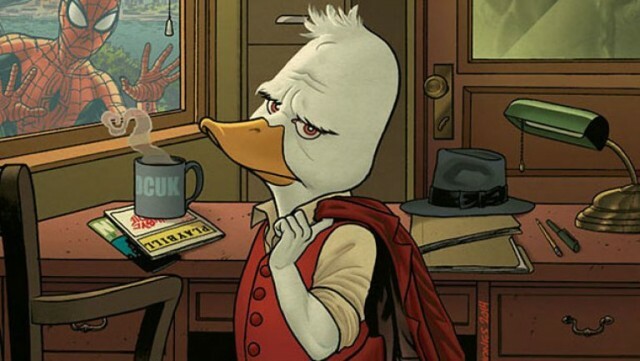 Currently, Hulu’s Howard the Duck has no release date.